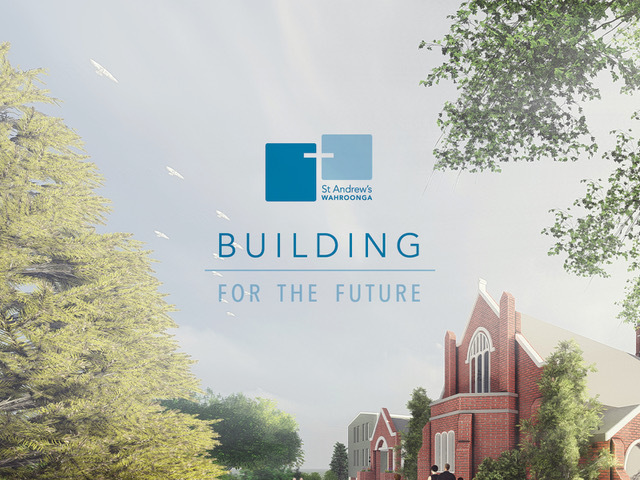 In 2017 we launched the St Andrew’s Building for the Future project – a once in a generation building project to develop our facilities to make them fit for purpose and ready for future ministry and mission from St Andrew’s. We invite you to partner with us in this exciting next step in enabling ministry and mission to grow here at St Andrew’s. To find out more, please download a copy of the Building for the Future information booklet and response form. Also, check out a fly through video of the building plans below. For further detail about the Building for the Future project please contact the church wardens (wardens@standys.org.au or 9489 3278).